There are probably close to a hundred of resort islands in Maldives. Infact, there are slightly over a thousands of such coral islands, where only about 200 are inhabited. An Atoll, according to Wikipedia, is a coral island, that encircles a lagoon, partially, or completely. Facts: There are a total of 1,190 coral islands, grouped into 26 Atolls. Some of the resort islands in Maldives are just a couple of minutes boat ride away from Male City. Resorts with Sea-Villas (aka water bungalows) or In-Ocean Villas are usually located further from the city. Angsana Velavaru is located 45 minutes by Seaplane from Male City. Upon arrival, we have to re-check-in our luggages at the Seaplane counters for the journey to the island resort. We were also transferred to another terminal for the Seaplane flight. 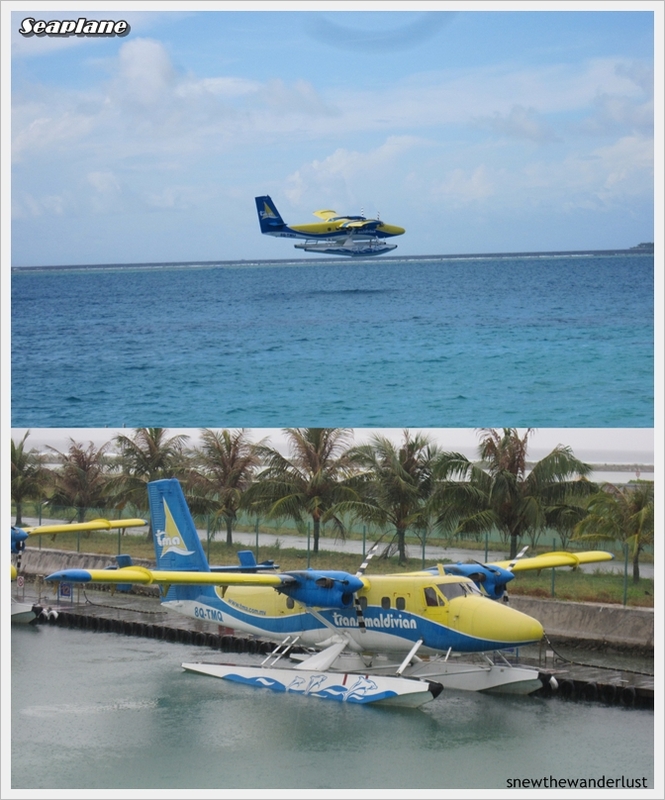 The seaplane flight was slightly delay due to the bad weather conditions. No worries, we were entertained at the cosy lounge of the Banyan Tree/ Angsana Group. Overlooking the docking bays of the seaplanes, we relaxed and enjoy the refreshments while waiting for the pilots to get weather clearance. IPads were also available for loan. The funny thing is, the staff insisted that a photo of us taken at the lounge... and using their camera. Till today, we still wonder what they want the pictures for? The only explanation that I can think of is... in case we were victims of an impending Tsunami, they would have a picture of us to account for. Oh Choy! Touch Wood! Finally, after 80 minutes of delay, the weather was clear... and off we went on our seaplanes, with our earplugs! Copyright © 2012 snewthewanderlust. Picture Window theme. Powered by Blogger.